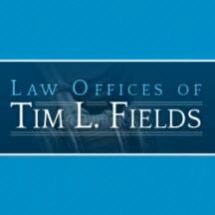 Located in New Orleans, Louisiana, The Law Offices of Tim L. Fields, llc, provides skilled personal injury representation to individuals throughout New Orleans and Metairie. We handle all forms of accidents where you have been injured by the negligence of another, including auto accidents, truck accidents, offshore worker accidents and medical malpractice. Attorney Tim L. Fields has spent more than 25 years acting on behalf of victims, seeking the compensation they need to cover costly medical bills, lost wages and repair costs. The firm always seeks to resolve the matter as efficiently and advantageously as possible, but should the matter go to court, our lawyers are equipped to litigate. We understand what a difficult time this is for victims of such accidents, and our firm provides caring and attentive service, carrying the legal burden for you and your family as you seek the fullest recovery possible. This includes providing you with information and documents as soon as we receive them and remaining readily accessible at anytime with answers and information.